Working as the Interior Designers for the new build team for WinStar Towers II and III, Algiere provided full Design Development Services for our client, their architect, GC and the procurement company. 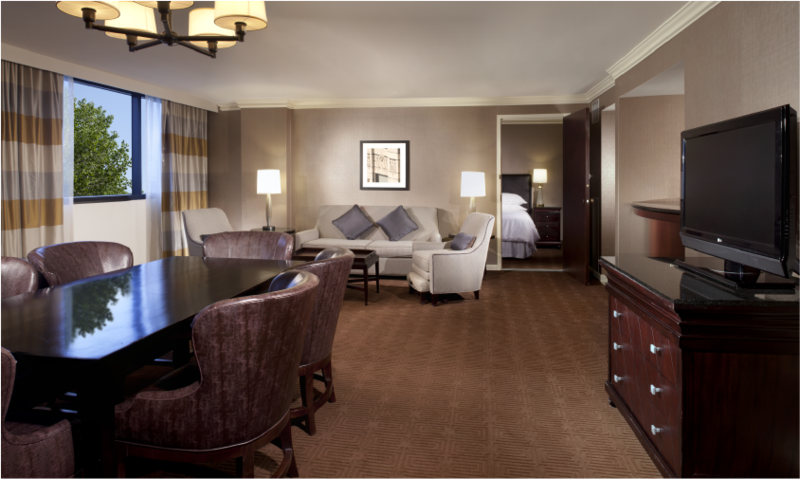 The newest 1,000 guestrooms of the WinStar Casino Hotel Towers brought the glitz and glamour of Las Vegas to Oklahoma. 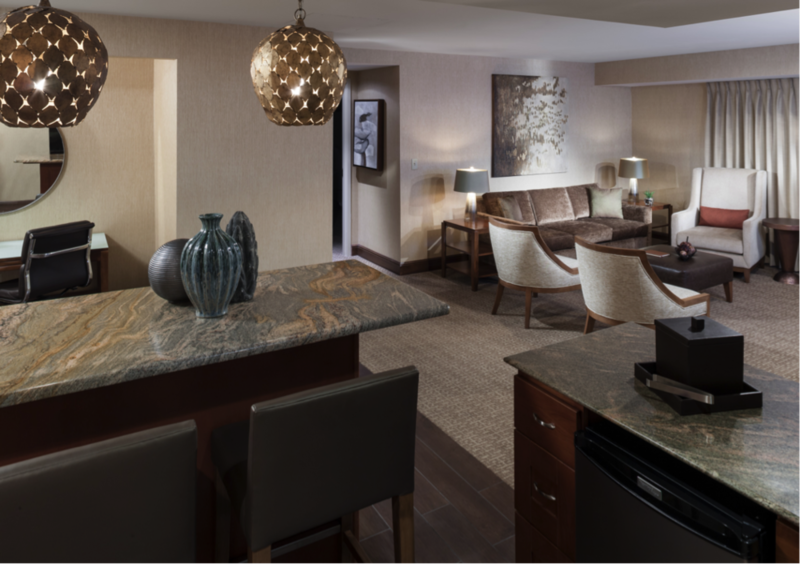 The jewel tones in rich and dramatic color; enhanced lighting, custom artwork and furnishings; brings out the high roller in all of us! 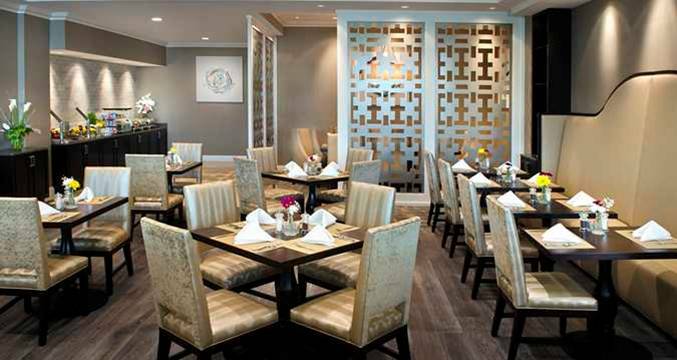 Brought in by a returning asset management client, Algiere provided design and construction services for the renovation of the Hilton Hotel Greenville, SC. 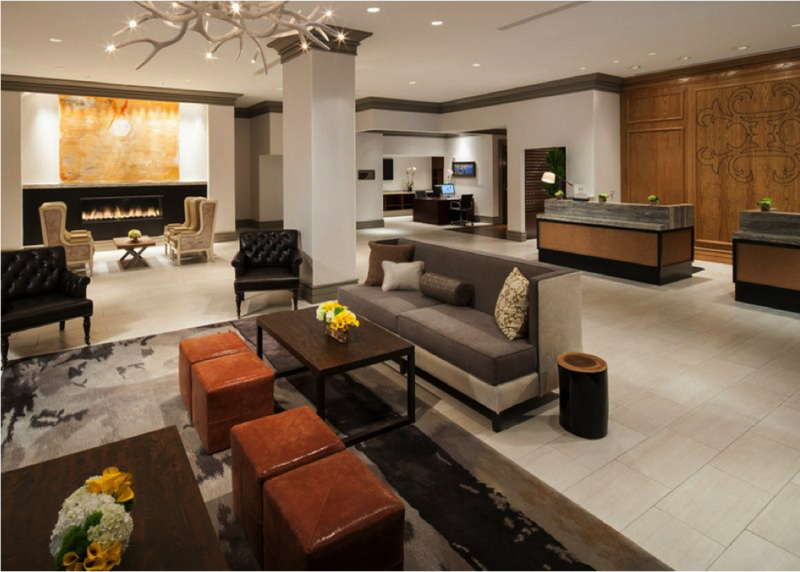 Soothing southern hospitality personified through cool, refreshing tones, clean lines of transitional furnishings topped off with custom art added a new level of sophistication to the hotel. 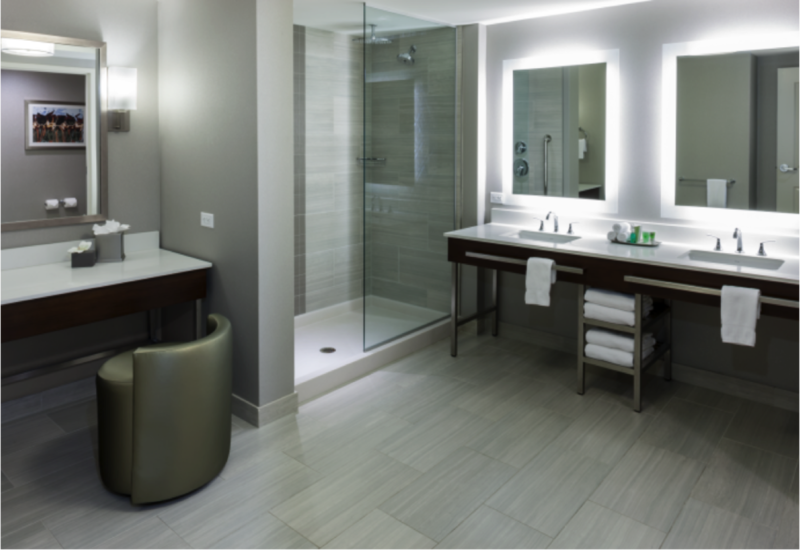 The high visibility of converting the Holiday Inn JFK to a flagship Hilton Hotel at JFK International Airport caught everyone’s attention. 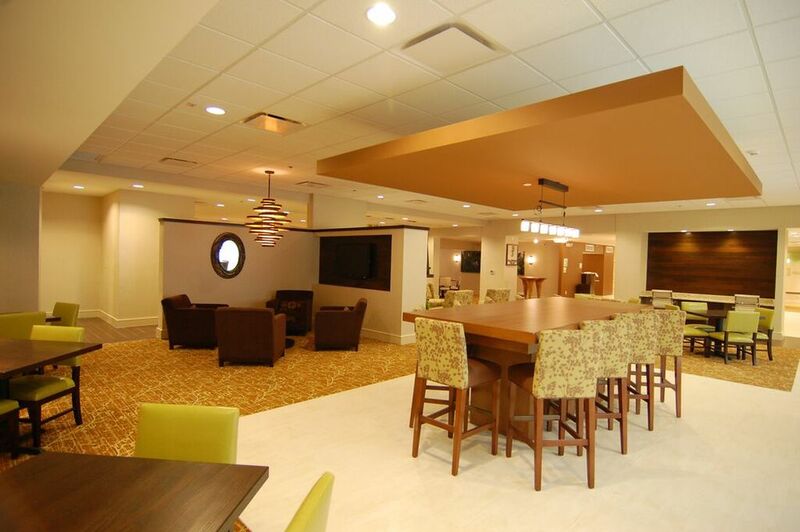 Algiere was engaged by a 15+ year client to provide a turnkey design/build solution. Orchestrating the new vision with the client and Hilton design team, Algiere brought a modern twist of new East Coast elegance, a sense of life, and the vibrancy of indigo, cinnamon, espresso and driftwood to warm up the contemporary vibe to meet the needs of the international clientele. 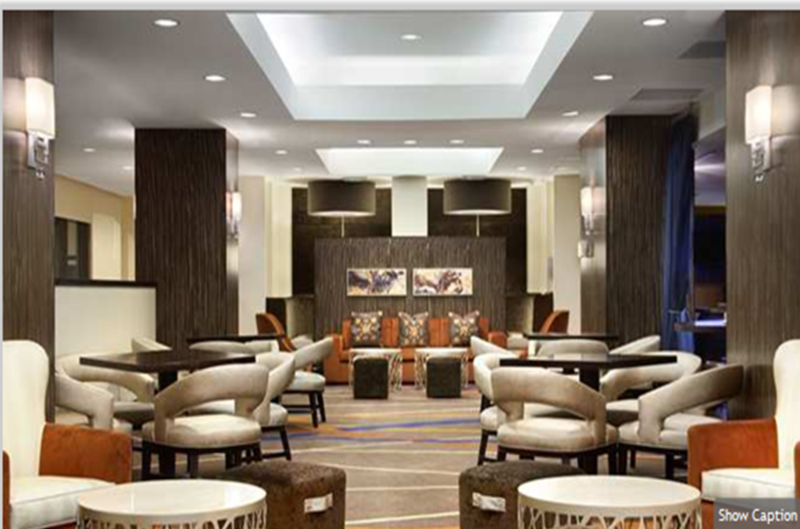 On board as the general contractor for the exterior and interior renovation teams for the Hilton Park Cities Hotel, Algiere worked hand-in-hand with the client, their design teams, property management and procurement firm to successfully complete the award-winning renovation. Nestled in the heart of the affluent Park Cities, the Hilton Park Cities is the ultimate southern luxury Texans and friends have come to expect from Big D.
IHG “Renovation of the Year” Winner: A custom designed regionally influenced turnkey design/build renovation of a closed independent hotel into a 250 room full service Holiday Inn. 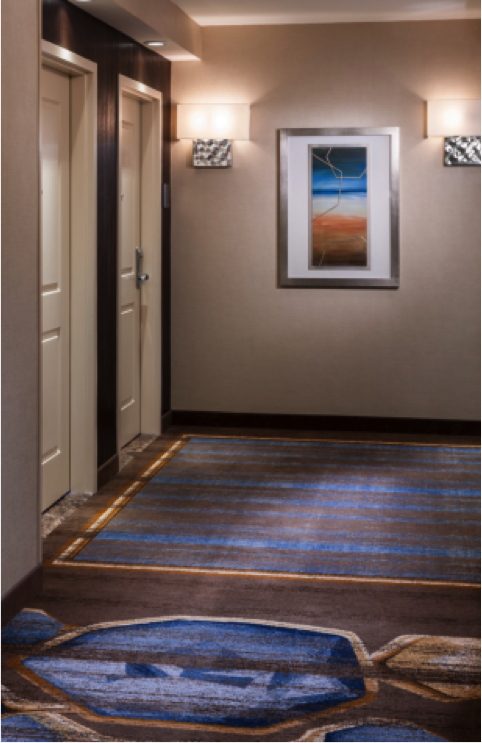 A rare combination of Texas charm enriched with a contemporary flare to offer guests a modern experience and the comfort the guests have come to expect out of their Holiday Inn brand. 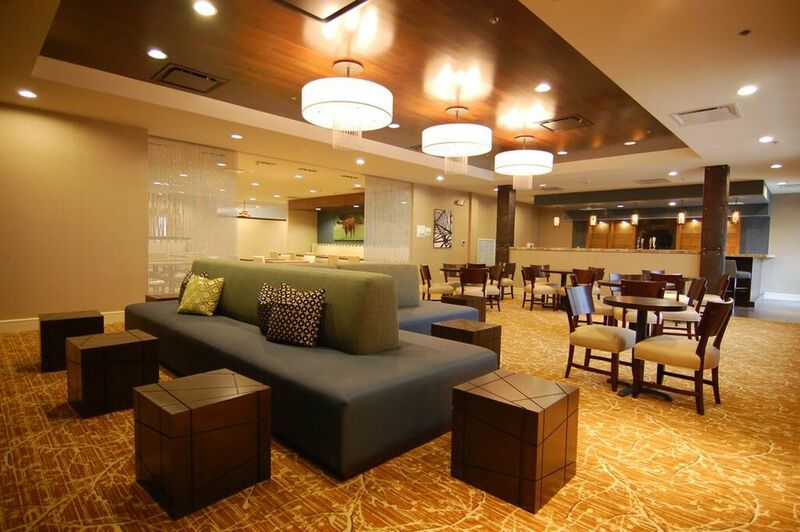 Working with one of our 25+ year veteran clients, Algiere was engaged as a turnkey design/build solution to implement a custom colorized “Refreshing Business Program Lobby” renovation for the Marriott Courtyard in Indianapolis, Indiana. The new lobby and public space concept is designed to generate “connections” with the guests, providing a genuine and friendly atmosphere. It fuses functionality, aesthetics, and technology to offer guests a living space where they can work. 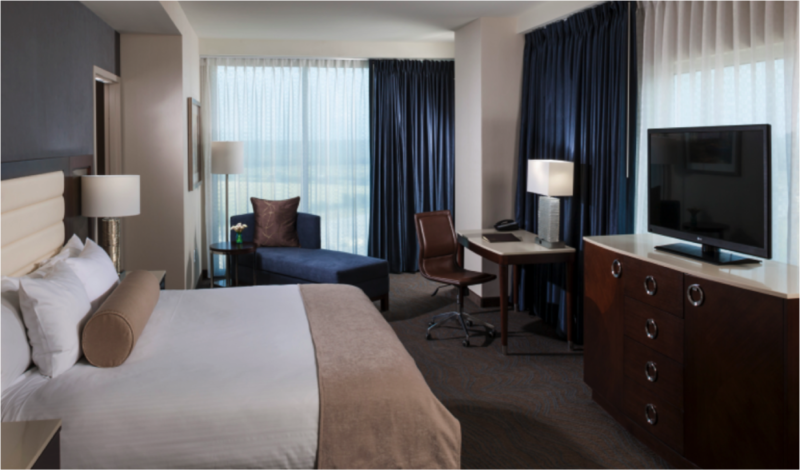 The custom color palate was later added to the Marriott Courtyard program. 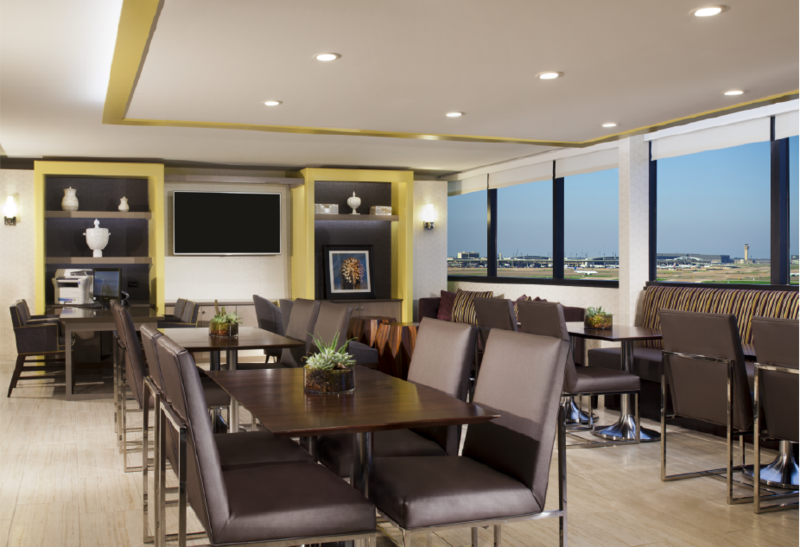 As part of the Marriott Brand affiliation, a mandate known as the "POSSIBILITIES DÉCOR" program to convert the “GATEHOUSE” lobby café area and lobby was issued for the whole franchise community. This master program was launched by the Brand to modify the service offerings under certain guidelines within the main lobby space and breakfast rooms as it existed. Algiere partnered with the Brand to develop the first implementation and opening of the new "POSSIBILITIES DÉCOR" program Nationwide. 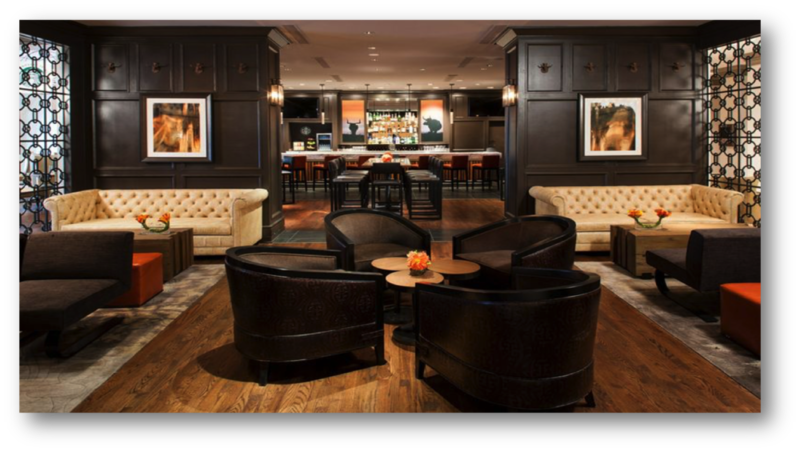 ALGIERE worked in collaboration with the Brand design team to develop the color palate that best worked with the Brand-imposed Hallmark elements for this particular hotel. A third project for a returning client, Algiere was engaged as a turnkey design/build solution to convert a Lifestyle Wellness Center in the center of 1,700 beautiful sprawling acres into an upscale hospitality destination. The client desired a boutique hotel with a hi-tech conference center. Embracing the beauty of the surrounding Arbuckle Mountains, Lake Arbuckle and lands of the Chickasaw Nation, Algiere brought nature’s inspiration to life. The CRCC offers guests 100,000+ square feet of casual elegance designed with layers of texture and color native to Oklahoma providing comfortable lodging, fine dining, the ultimate in relaxing and meeting privacy. 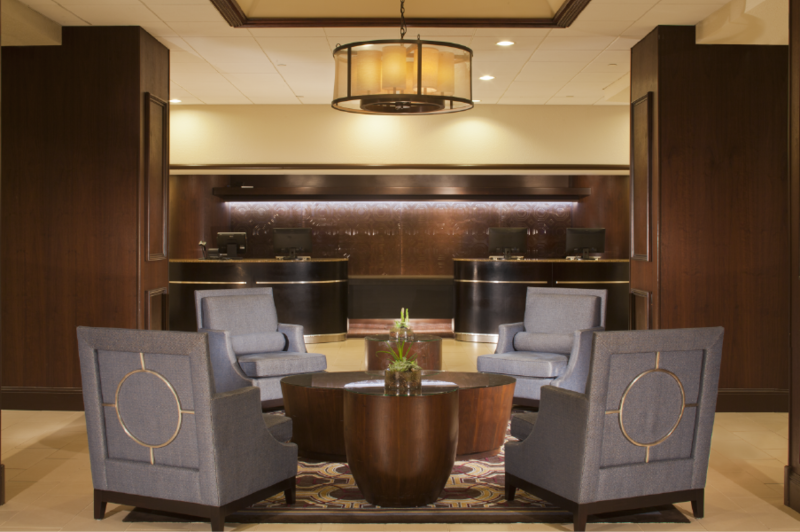 Located in the heart of East Texas, the new owners wanted to exceed the Holiday Inn Express brand expectations and breathe an air of regional customization into their lobby. Embracing the railroads and surrounding piney woods, a train caboose stylized nook was created, photographs of local trains and train stations along and rich wood accents can be enjoyed throughout the property. Construction, design or procurement questions? Contact Us!